In a 13-count indictment in Brooklyn, New York, the government alleged Huawei, two affiliated companies and Chief Financial Officer Wanzhou Meng of bank and wire fraud as well as conspiracy in connection with business in Iran. Charges filed in Washington state accuse the company of stealing trade secrets from T-Mobile USA Inc. and offering bonuses to employees who succeeded in getting technology from rivals. The cases “expose Huawei’s brazen and persistent actions to exploit American companies and financial institutions, and to threaten the free and fair global marketplace,” Christopher Wray, director of the Federal Bureau of Investigation, said at a press conference in Washington announcing the charges. Huawei didn’t respond immediately to requests for comment on the allegations. Prosecutors said that Huawei concealed its relationship with Skycom Tech Co. Ltd, a company in Iran, in violation of U.S. laws. Meng “personally made a presentation in August 2013 to an executive of one of Huawei’s major banking partners in which she repeatedly lied about the relationship,” prosecutors said in a statement announcing the charges. Skycom was also charged. Charges include bank and wire fraud, conspiracy and violations of the International Emergency Economic Powers Act. 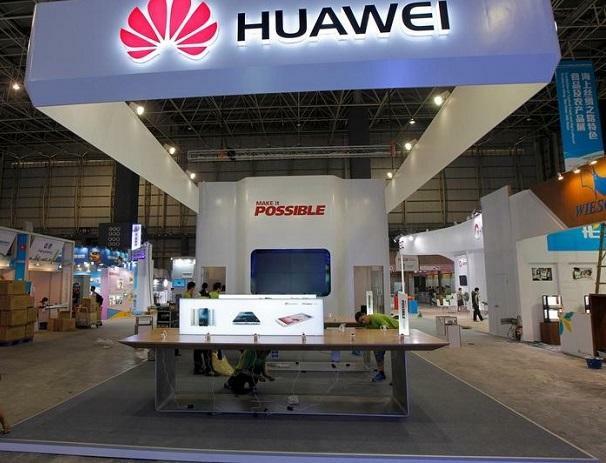 In addition, Huawei and Huawei USA are accused of conspiring to obstruct justice. Prosecutors also alleged that Huawei began a “concerted effort” in 2012 to steal information from phone-testing robot developed by T-Mobile USA Inc. and even offered bonuses to employees who could get their hands on the technologies of rivals. Meng, 46, the daughter of the company’s founder, was arrested in Canada Dec. 1 on allegations that she committed fraud to sidestep sanctions against Iran. Meng is free in Vancouver, staying at her $4.2 million mansion with GPS monitoring, after posting bail of C$10 million ($7.5 million) as she fights extradition to the U.S. to face criminal charges. The U.S. is asking that the Canadian authorities extradite Meng. Canada’s justice minister then has up to 30 days to assess the request. If he issues an "authority to proceed," that means Canada is officially moving to extradition hearings. If so, they would likely be scheduled months later. In the indictment filed in Seattle, the government alleged Huawei violated confidentiality agreements with T-mobile in an effort to build their own robot to test phones. Huawei engineers secretly took photos of T-Mobile’s robot, called Tappy, took measurements of parts of the robot and, in one instance, stole a piece of the robot, prosecutors said. Huawei then blamed “rogue actors” within the company when T-Mobile threatened to sue, the U.S. said. T-Mobile sued Huawei and its U.S.-based unit, Huawei Device USA Inc., in 2014. Three years later, a federal jury in Seattle found Huawei liable for both breach of contract and misappropriation of trade secrets.